The average price of a house in New South Wales compared with Tasmania may make a great headline, but it doesn’t pinpoint exactly where or how to build affordable housing. “Unlike nationally focused housing market information, the Sydney Housing Demonstrator Data Hub will produce a much more immediate measure of housing affordability and an understanding of how it varies from suburb to suburb,” says Andrew Dingjan, director of the Australian Urban Research Infrastructure Network (AURIN). Project leader Professor Bill Randolph of Built Environment UNSW says there are a lot of anecdotes and myths surrounding housing affordability. 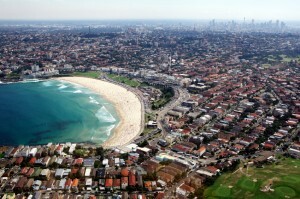 The Sydney Housing Demonstrator Data Hub is a key project of AURIN. By making diverse datasets and analytical tools readily available via the AURIN portal, this project will inject some much-needed evidence into the debate, as well as enabling deeper housing research and evidence-based planning. Professor Randolph hopes the evidence produced will bust some urban myths. “There’s a popular idea that just removing the barriers to housing supply will make homes more affordable for buyers, but significantly increasing supply enough to bring prices down would effectively mean that the development industry would lose its profitability and would stop building – no builder wants to build in a falling market,” says Professor Randolph. The Sydney Housing Demonstration Data Hub will produce a localised measure of housing affordability. For each house sale or rent there’s a price—these prices can be monitored in real time and analysed to determine how many of those sales or rental units are affordable to target groups, such as first home buyers. For example, researchers can test house prices or rentals against the income of the average first homebuyer, or a typical renters income. The project’s the aim is to provide quarterly data on how many sales and rental properties came on to the market and how many were affordable to key target groups – a very different way of understanding affordability. It brings together data from the NSW Department of Planning and Infrastructure, NSW Land and Property Information and NSW Rental Bond Board. Combined with other demographic and geospatial data available through AURIN, this project provides valuable insights for researchers and policy makers. It will also provide a blueprint for the extension of the model to other Australian population centres. The Sydney Housing Demonstrator Data Hub is a joint project of AURIN and the City Futures urban policy research centre at Built Environment UNSW, with support from eResearch consultancy Intersect Ltd. This entry was posted in Housing, Latest News. Bookmark the permalink.